Hey friends! 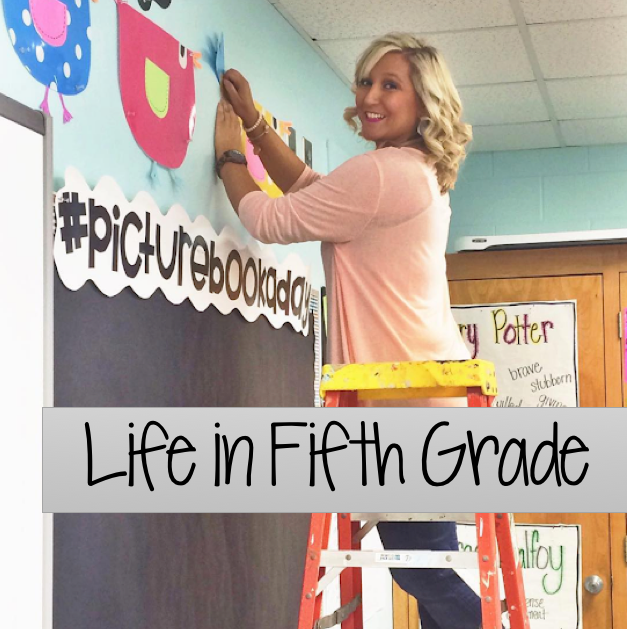 I'm so excited to share today's post with y'all! I posted this pic on Instagram a few weeks ago and got a lot of questions, so hopefully this post will clear things up! We voted on our favorites from each category and I complied the results in a Google Spreadsheet. 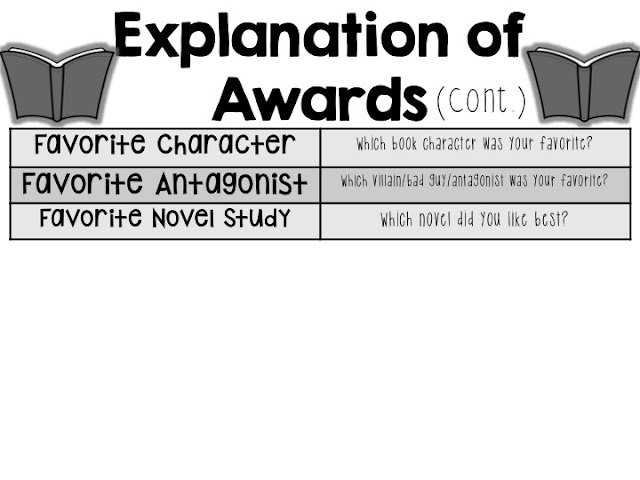 During the last week of school, we will have the Readers' Choice Awards where we'll find out which favorites won! 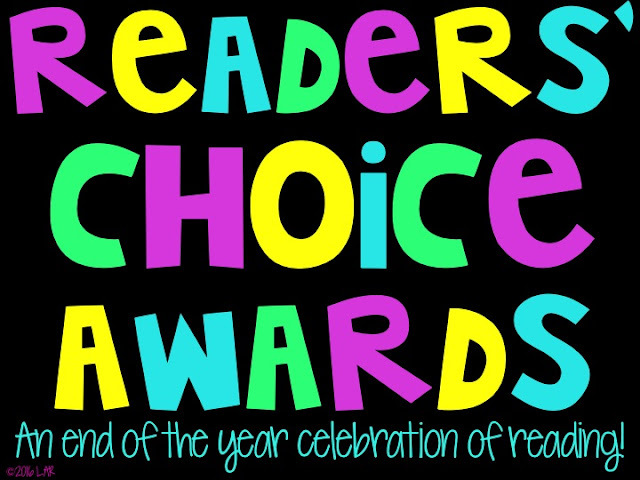 Want to hold your own Readers' Choice Awards? Click here to get your printables! Here's what's included in the resource. Love, love, love this! Can't wait to use this in my 5th grade language arts class! Thanks for sharing! Such a great idea. Would love to do this! What an amazing way to end the year and further cultivate a love of reading! 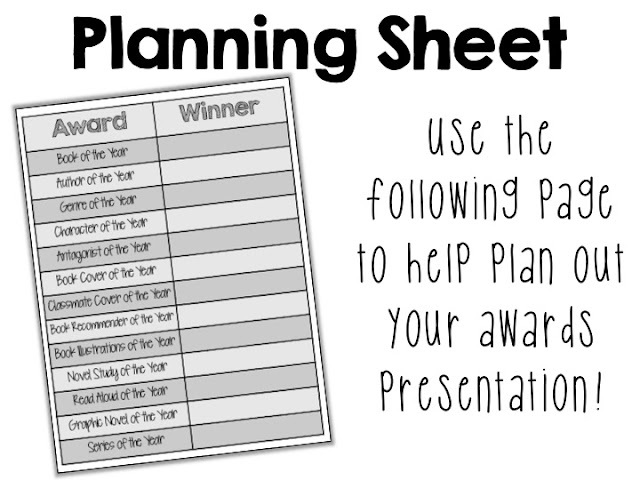 I love this end of the year idea! I know my fifth grader readers would love to do this. Thanks for sharing your wonderful ideas! This is a fun idea! We did something similar with March Madness, but I like how this is similar to an awards show where there are lots of winners. Great idea! 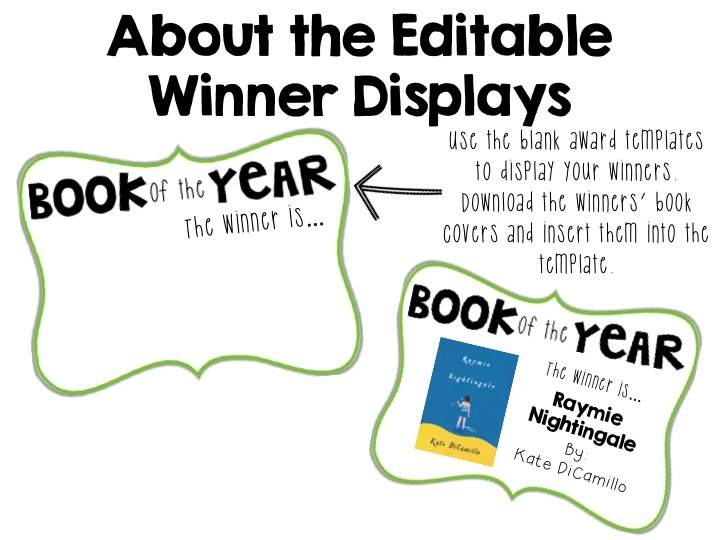 Also, I told my students about the book one of your students raved about, Raymie Nightigale, and the girls all want to order it from scholastic this month. Thanks for the recommendation! My 5th graders would LOVE this! We have read some great books this year. I am in love with this idea! 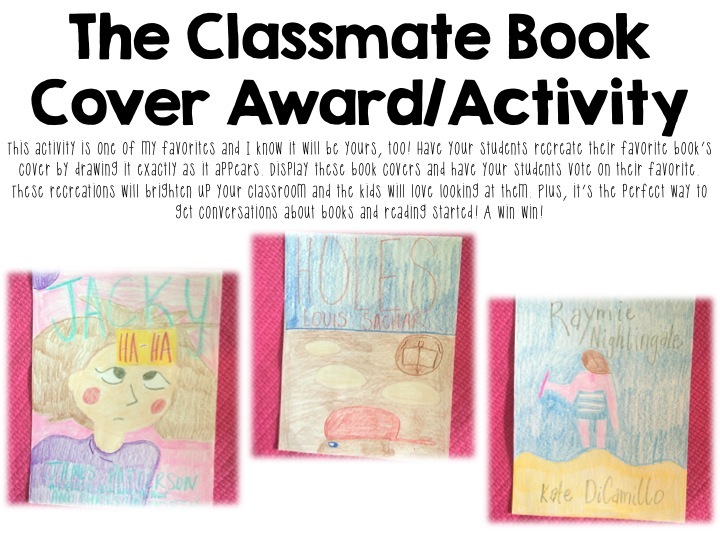 It would also be fun to save the awards and share them with next year's class to help kick off the 40 book challenge! Fabulous idea!!!! I am in love with this idea! 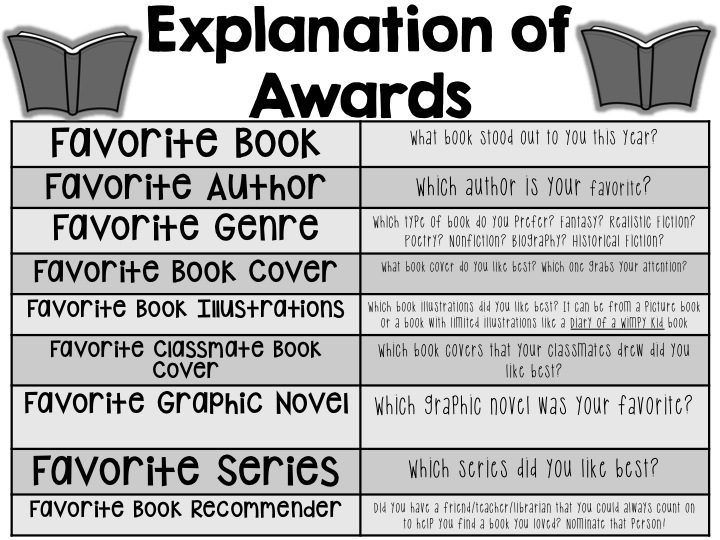 I also think it would be great to save the awards and share them with next year's class to help kick off the 40 book challenge. Fabulous idea! This is an AMAZING idea!!! I love it! My fifth graders are going to really enjoy this and so will I!!! What a great end of the year activity! This will be great to show we have grown as a community of readers!!! Love this idea! My students love sharing about books they've read and this is the perfect way to end the year! My 4th graders would love doing this! 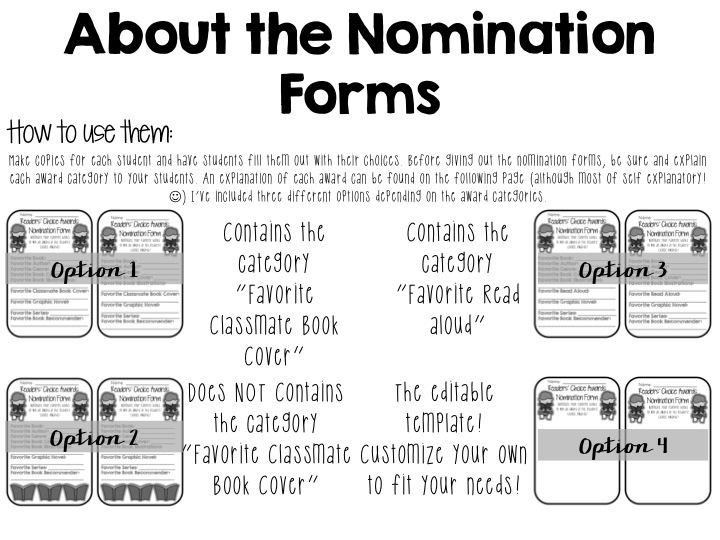 I'm so excited to see those struggling readers discover a genre' or author that they just can't put down or get enough of!!! This would be a great way to share their new-found love for reading!! !